The Director of FHFA (Fannie and Freddie’s parent), Mel Watt announced that the FHFA will release details regarding the return of the 3% down-payment product sometime next month, but expect it to include conditions such as housing counseling, stronger credit scores, lower DTI ratios, and a higher interest rate. Cross you fingers that it’s a usable program that really does offer a benefit to home buyers and not just another chest puffing initiative that doesnt really work for 99% of would-be homeowners. One of the Federal Reserve Bank economists yesterday made a statement that by the end of 2016, the probability of low inflation is double the probability of high inflation. Where the Fed has switched their emphasis from employment to inflation this last month, this statement by the San Francisco Senior Economist has people talking. And when we are talking about interest rates, it’s important to underline that inflation leads to higher interest rates. Inversely, if inflation is nonexistent, interest rate stay low. One of the measures of inflation is the Producer Price Index, which measures inflation at the wholesale level. Today’s reading of the PPI only rose by 0.2%, or 1.5% year-over-year. The Fed’s current target is 2.0-2.5%, so Mr. Senior Economist’s statement is timely. More measures of inflation roll out almost every day; the monthly Consumer Price Index will be released tomorrow. As an indicator of the impact that this economist might have on the financial world (or not), these photos are the only ones that Google could find for him (and the photo on the right might actually just be a woman who looked like him in high school). His name is Vasco Curdia. 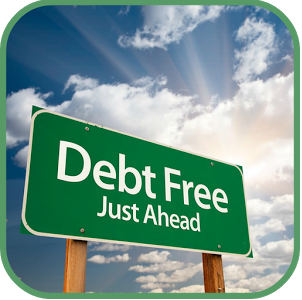 Want to live debt free? I just want to share something that has made a huge difference in my life, and in the lives of quite a few of my clients. It’s a simple program that allows YOU to payoff all of your debts, including your home, in 1/2 to 1/3 the time that you currently believe possible. And YOU do it without paying anything more than you are currently each month, defaulting on loans, declaring bankruptcy, etc. Please let me know if you know someone who can benefit from living debt free. Here is a snapshot of how it works. Stock prices are lower after the S&P (2039) and the Dow (17614) closed at record levels yesterday. The S&P marked its 40th new closing high for the year (versus 45 in 2013) and is up 9.5% from that six-month low just a month ago. Speaking of buying low; wholesalers are amassing larger inventories than have been deemed prudent by analysts. So it you want to gamble a little, you might find last-minute deals this Christmas if Retail Sales don’t also beat expectations. In the meantime, pricing of both Stocks and Bonds is down marginally. Today is Veteran’s Day so banks and the bond market are closed, and there are no financial reports out either. If I may, let me tell you one great thing about this country. I experienced my first NASCAR race last weekend, though some of you will argue that I didn’t actually see a race since I went on Saturday and not Sunday. I took my dad and my two oldest boys, pictured here–which was a great experience. While I am not sure that I will be purchasing wired headsets to communicate with all of my racing buddies while we watch the same cars rumble past our eyes every 28 seconds for a two hour stretch, nor buying an RV to get us from town to town, I would probably go to this venue again. I would go for one reason, and it’s also what I like best about parades: the celebration of our nation’s real heroes. When they asked all of the veterans to stand up just prior to the rest of us rising to sing the national anthem, I thought that my heart would burst open with pride and appreciation for the large minority of soldiers standing among the rest of us in the grandstand. So from me to you soldiers, Happy Veteran’s Day.